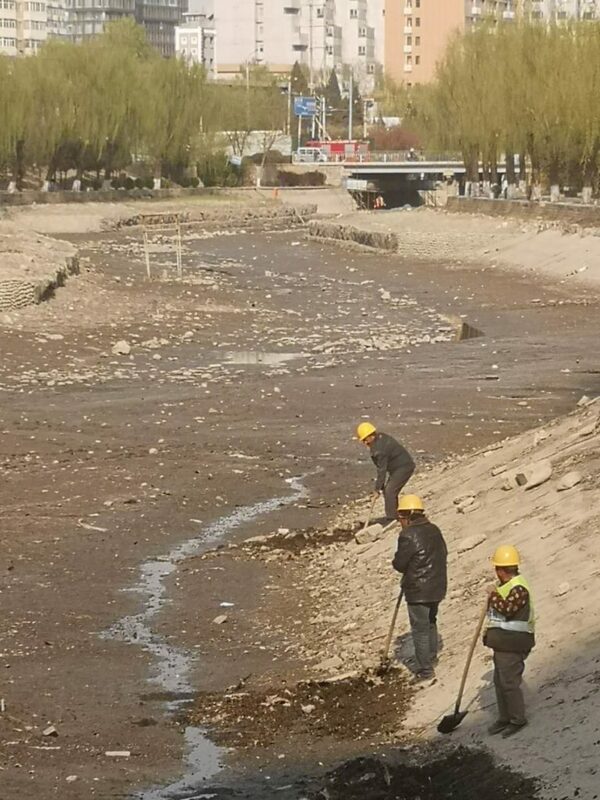 Liangma River has been drained, as the first stage of work to convert the whole riverfront into an urban park. The Chaoyang District Water Supply Bureau announced that the “Liangmaqiao International-Style Waterfront” will be completed by the end of the year. 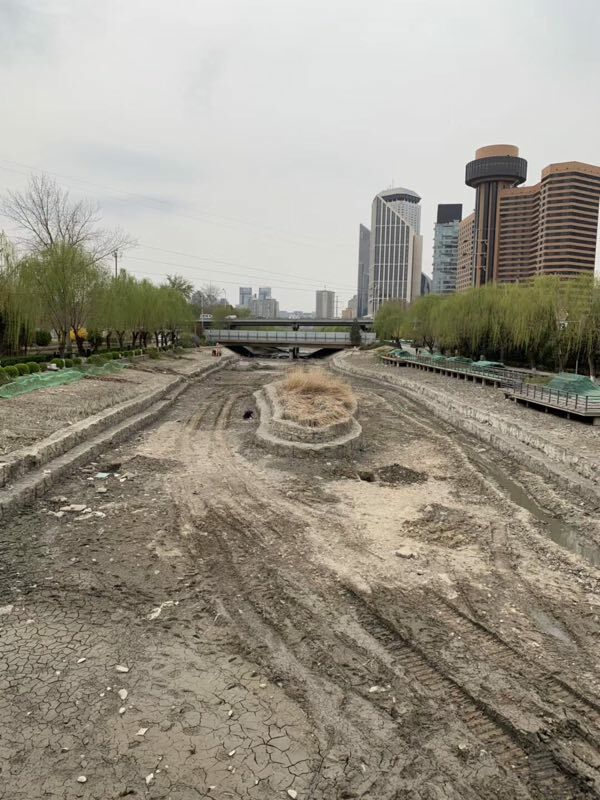 The 800,000 square meter park will run from the Fourth to the Second Ring Road and will have four themes: living and leisure, international communication, commercial vitality, and natural ecological river bank. The city authorities hope to boost tourism, offering a night boat which will take visitors along 1.5 kilometers of the river. There will also be a jogging path along the bank. The park will contribute to efforts to reduce air pollution in the city, by building new green areas, and will also help in flood control. The river is to be widened under the plans, and wildlife encouraged. “At the foot of the shoreline slope, fish nests will be built with bricks and stones, providing a breeding space for fish and shrimp, and creating a river with habitats and ecology,” according to the announcement. Liangmaqiao’s proximity to many major embassies, including those of the US, Germany, and France, makes it a popular area for expat restaurants and bars, but businesses along the waterfront had not been informed of the ambitious plans for the park. However, he was enthusiastic about the plans. However, the authorities might be less keen on one of his suggestions.